See Perth CBD Map - Greater Perth Surrounds Map - Perth Weather. Perth has wonderful white, sandy and uncrowded beaches, a sunny climate, friendly and hospitable atmosphere, great parks and gardens and mouth watering seafood dining. The streets were purpose designed, as it was a latecomer to the colonies, with the wealth of the Gold Rush days and the mineral boom helping it evolve into a modern city. Perth also has an abundance of attractions and is situated less than an hour from a number of beautiful National Parks and natural bushland. Things to do include visiting the largest set of ringing bells in the world at the Swan Bell Tower, swimming, relaxing and surfing at the more than 80kms of beaches or a ferry ride out to Rottnest island, where the crystal water bays are perfect for snorkelling. Must see attractions include: King’s Park view of Perth skyline with the sunset reflecting off the glass skyscrapers. Others include the Perth Zoo, Burswood Casino, Perth Mint, Adventure World and the AQWA walk through aquarium with a seal exhibit. Explore the Pioneer Village, Perth’s many museums, and of course the Perth Institute of Contemporary Art. While Perth is ideal for singles and couples seeking sunshine and summer vibes, its also an affordable family holiday destination. The beaches are lovely, and there are waterparks in which to splash on a warm day. Caversham Park is unique with its interactive wildlife exhibits and camel rides that will be a highlight of any excursion with children. Fun stuff for kids of all ages. 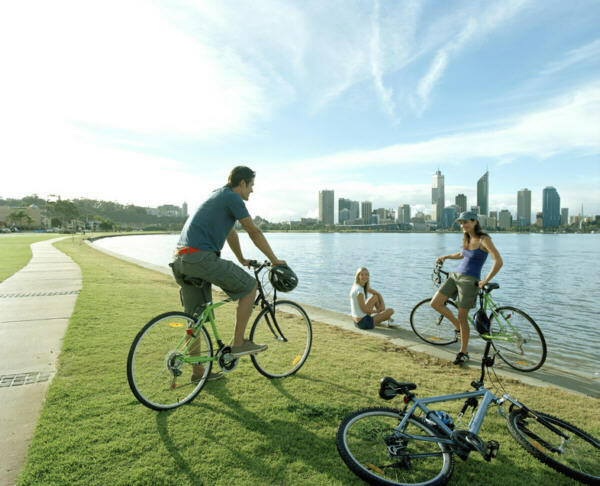 More about Perth for Kids Perth Kids Activities Western Australia. Numerous sports and recreational facilities are available and include snorkeling, boat cruises, parasailing, and kayaking. Within easy reach of Perth, Fremantle has many cafes, restaurants, as well as weekend markets for those special bargains. Fremantle is a port with lively street entertainment and a great cafe culture. See more about Perth Places to Visit. Visit Fremantle prison, built in 1850, to learn about the harsh convict life. Heading down south, there is Margaret River, known for its wines, gourmet food and world famous surfing. To the east of Perth, lie the Gold Fields, steeped in history and struggle. In the distance, the magnificent mountains of the Darling Ranges rise from the coastal plains. From the attractively landscaped, bustling cbd business district, to the fabulous mansions on “Milllionaire’s Row” to the leafy suburbs and Lake Monger and the Swan River where the black swans make their home, the city of Perth is an enchanting place. Amongst the many available, take a winery tour to Margaret River, explore the Valley of the Giants, with its tree top walks, go sandboarding at Yanchep National Park or go dolphin watching at Rockingham. More about Perth Tours, Cruises and Activities. Fresh seafood is one of Australia’s trademarks. There are plenty of cafes, restaurants and cheap eateries dotting the city to enjoy. See about the current weather and forecasts for Perth Perth Weather. 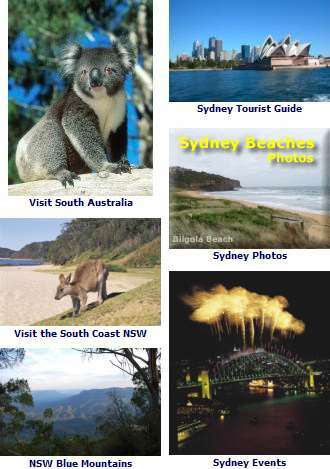 See Western Australia Map - Western Australia Attractions. See more about Pearling at Broome. The South West of WA is great to visit any time of year, with delicious cuisine, wonderful beaches, rugged coastline, towering forests and whale watching delights. Margaret River and Swan Valley are two notable wine regions close to Perth. See more on South West Western Australia. Perth has comfortable accommodation of all kinds to suit every budget, including Bed & Breakfast, seaside hotels and resorts with great views. Growing in popularity with families are self contained and serviced single and multiple bedroom apartments and condominiums. 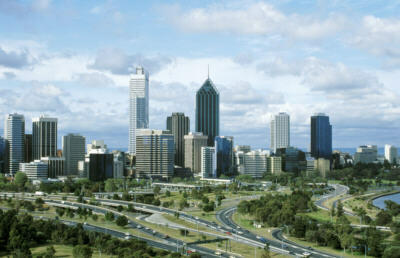 Perth hotels and accommodation - Perth Hotels.